The Champions Tour’s 2016 schedule has been announced and there are six Nicklaus Design golf courses that will host the best in senior golf over the season. The Champions Tour schedule of six tournaments at Nicklaus Design courses comes on the heels of the PGA Tour’s 2015–2016 announcement that six PGA Tour events will be held on Nicklaus Design layouts. In 2015, no fewer than 30 Tour events or significant amateur tournaments were held on Nicklaus Design courses. Additional Tour events for 2016 are still to be announced. The 2016 Champions Tour season gets underway January 18 at the Jack Nicklaus Signature Golf Course at Hualalai Golf Club in Ka’upulehu-Kona, Hawaii, with the Mitsubishi Electric Championship at Hualalai. On Feb. 8, the Champions Tour makes its way to Naples, Fla., for the ACE Group Classic, played at The TwinEagles Club’s Talon Course, a layout designed by Jack Nicklaus with Jack Nicklaus II. The third week in April will see the Bass Pro Shops Legends of Golf at Big Cedar Lodge gets underway at Top of the Rock—the Nicklaus-designed Par-3 course. This is the only Par-3 event on the Champions Tour’s schedule, and an event where Jack Nicklaus was victorious last year with his playing partners Gary Player and Lee Trevino. In May, the Senior PGA Championship presented by KitchenAid makes its way back to the Jack Nicklaus Signature Golf Course at Harbor Shores in Benton Harbor, Mich. This senior major was also hosted at the award-winning layout in 2012 and 2014. TPC Snoqualmie Ridge in Snoqualmie, Wash., will host August’s Boeing Classic—an event it has hosted annually since 2005. 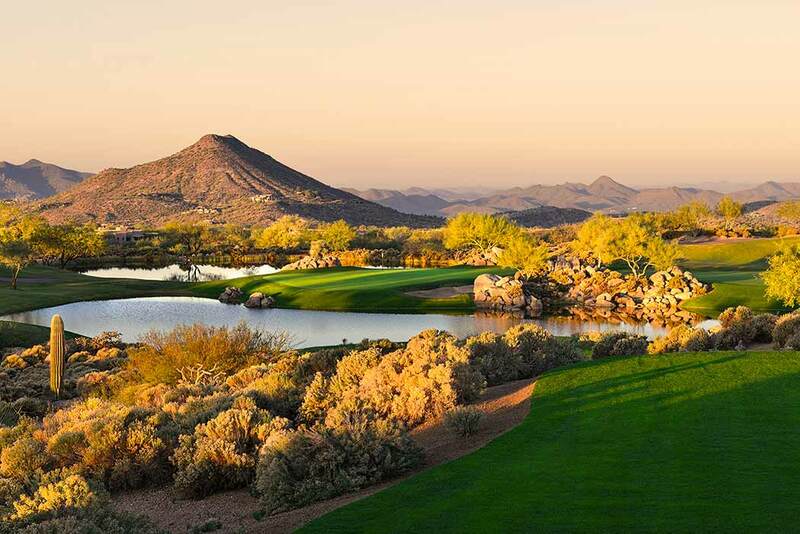 Then, the Charles Schwab Cup Championship gets underway in November to conclude the 2016 season at the Cochise Course at Desert Mountain Club, one of six Nicklaus Signature Courses at the acclaimed community in North Scottsdale, Ariz. Starting in 2016, there will be a new Schwab Cup trophy, as well as a playoff format. Another event with close ties the personal and professional legacy of Jack Nicklaus—the 2016 U.S. Senior Open Championship at Scioto Country Club in Columbus, Ohio—will have the Golden Bear serve as Honorary Chair. Scioto is where Nicklaus was introduced to the game of golf at age 10 and nurtured his skills under the guidance of long-time instructor Jack Grout.